…Commonly referred to as Return on Assets (see chart in NYT article below). For simplicity, let’s assume they have roughly $9 of liabilities for every $1 of equity. This is the same as saying they have 10% equity to assets (most actually have slightly more, like 11% or 12%). And let’s also assume for simplicity sake their current cost of funds (liabilities), is 1%. I’m not sure what the industry average is, but BofA’s is well below 1% today, about 0.60% or so including non-interest bearing liabilities. Based on these simple figures a bank earns a return on equity of 10% (1% net income on assets divided by 10% equity to assets). Bank of America’s return on average common equity was just 8.75% in the most recent quarter, slightly lower because their ROA was 0.99% and they had 11.2% equity to assets. I would tell you that from an investor (in a bank like BofA) standpoint, an 8.75% ROE isn’t going to cut it. They are going to want higher returns on their invested capital, given the leverage and risk of banks….so requiring more capital than 11.2% will only make investor returns worse…but apparently the Stanford economist doesn’t understand this…so, let’s do some more math for her. If you funded a much safer bank with ALL equity and no liabilities (no leverage), you would earn a much higher 1.54% return on assets (ROA) but your ROE would plummet to the same 1.54% return on equity (1% ROA base case, plus you earn another 1% pretax on 90% of assets…the liabilities, times the inverse of the say 40% tax rate, to convert to after-tax). So, that’s “No Bueno” for banks and for all of us who need banks, because no one would invest a dime in banks to earn just a 1.54% return on their capital. How about at 50% debt and 50% equity? You should be able to intuitively know that won’t work either. It results in a 1.24% ROA (1% ROA base case plus 40% additional equity….to get to 50% equity…times 1% COF times 60%, the inverse of the 40% tax rate), but the ROE is just 2.48% (1.24% ROA divided by 50% equity to assets.). Again, NO BUENO! Well, let’s be fair….the Stanford economist, who says she taught herself to become a banking expert post-crisis isn’t advocating that banks hold 100% equity or even 50% equity…..she thinks it should be like 20% to 30% equity. Well, I am not going to do anymore math….we know that BofA’s current 11.2% equity, only results in an 8.75% ROE, we know that my simple models above demonstrate that 10% equity equates to a 10% ROE and 50% equity to a 2.48% ROE. So the Stanford economists “wish” for banks to hold 20% to 30% equity will result in a “No Bueno” ROE of roughly half way between 2.48% ROE and 10% ROE. It’s a favorite lament of community banks: The 2010 Dodd-Frank law is squeezing small financial firms and crimping access to credit for Main Street, all in the name of protecting the country from another financial crisis. A look at the data shows the reality is more complicated, and small banks are proving surprisingly resilient by some measures. Meanwhile, the bigger challenge than weathering compliance costs, say banking consultants and analysts, is generating profits during a period of unusually low interest rates. That could soon change. A rate increase from the Federal Reserve, expected by the end of the year, could help small banks start to build margins again, boost capital—a critical component for small firms with limited access to capital markets—and support additional lending to small businesses and households. Congress passed Dodd-Frank aiming to rein in risky behavior by banks big and small. Among other things, the law imposed stringent new mortgage-lending requirements, limited debit-card processing fees and created a new agency to enforce consumer financial laws, the Consumer Financial Protection Bureau. “Dodd-Frank—that term—became the poster child for every regulatory ill that’s been foisted onto community banks,” said Camden Fine, president of the Independent Community Bankers of America, which represents thousands of small banks. “There are regulatory burdens that community banks face today that are real, but had nothing to do with Dodd-Frank,” he said, adding that in any case, low rates are a bigger issue for small banks. There’s no doubt Dodd-Frank has disproportionately raised compliance costs for small banks, which don’t have the size and scale to absorb new costs as easily as larger firms, though exact tabulations are hard to come by. But in some ways, community banks are the picture of health. Community banks have expanded their lending faster than large financial firms, according to data from the Federal Deposit Insurance Corp. Loan balances at community banks grew 8.8% in the second quarter from a year earlier—almost twice the rate of bigger banks, which posted a 4.8% increase, according to FDIC data. Loan growth at small banks has outpaced the bigger banks for more than a year. In the second quarter, the profitability of small banks—which earned a 0.95% return on assets—barely lagged behind the 1.08% return of the big banks, according to the FDIC. That’s a big change from the margin when Dodd-Frank passed, when the gap was more than three times as wide. And the fees small banks pay the FDIC, based on their deposits, has dropped off thanks to Dodd-Frank. Community banks held $1.4 trillion in loans during the second quarter, or 16.4% of total industry loans. That share plunged in the years leading up to the crisis, but has held relatively steady since 2010, FDIC data show. In other words, smaller banks are hanging on to market share despite stiff competition from larger firms, whose balance sheets have become increasingly bloated with nonloan assets, a side-effect of Fed programs to stimulate the economy. The number of community banks has been falling for decades. Although the decline accelerated over the past 10 years, in part because of the wave of bank failures during the financial crisis and tighter regulatory restrictions on new bank formation, almost two-thirds of banks that closed were bought by other community banks, according to the FDIC. That isn’t to say bankers aren’t feeling the effects of new regulations, and that the costs aren’t being passed on to customers. A Harvard University study released in February found small banks lost 6% of their share of industry assets during the financial crisis and 12% since the passage of Dodd-Frank. 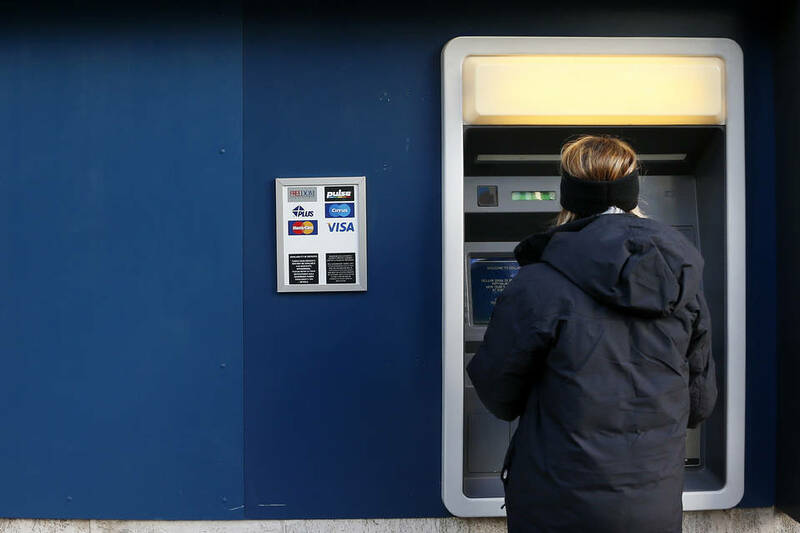 An April report from Goldman Sachs researchers blamed the new rules for the rising cost and reduced availability of credit for small businesses, which rely mostly on small banks for financing. Rising interest rates could help offset those drags and boost small banks’ revenues. But there are potential downsides. Regulators have warned that some small banks have taken on too much risk as they searched for ways to generate revenue when rates were so low. As borrowers pay off older loans with higher interest rates, banks have had to replace them with assets that yield a lot less. That pushed net interest margins to a 30-year low in the first quarter of 2015, hampering small banks’ ability to make money. “Community banks are much more reliant on the income driven from the net interest spread, whereas the larger banks have diversified their operating revenue stream,” said Anita Newcomb, president of A.G. Newcomb, which consults with small and regional banks. Banks have tried to counteract those effects by taking on more higher-yielding assets that mature over a longer period of time, which could pose problems when short-term rates start rising. Ms. Newcomb said many small banks are taking steps to mitigate those risks, but they’re ready for the Fed to get on with it. “I think everyone would agree a rate rise would be kind of nice,” she said. Posted on October 7, 2015, in Postings. Bookmark the permalink. Leave a comment.